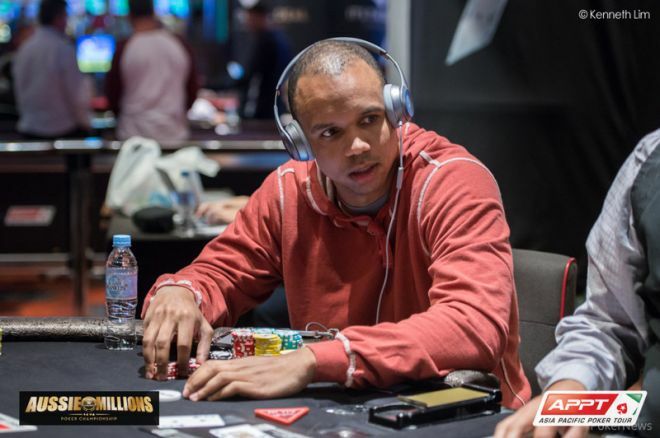 PokerNews obtained a portion of Phil Ivey's March 26 deposition regarding his edge-sorting case against Borgata. Highlights from Phil Ivey's Borgata deposition include being plied with free booze by pretty cocktail waitresses. 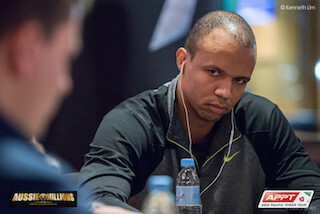 PokerNews obtained a portion of Phil Ivey's March 26 deposition regarding his edge-sorting case against Borgata. Here are some highlights. Phil Ivey's battle against Atlantic City's Borgata has been well documented. The poker pro is accused of cheating the casino out of $9.6 million back in 2012 after using a technique called edge sorting, which allegedly occurred over four separate visits. Borgata opted to sue Ivey, who in turn did the same by filing a countersuit. Borgata contends Ivey's edge-sorting strategy violates New Jersey gaming laws, but Ivey asserts it was simply the result of skill. 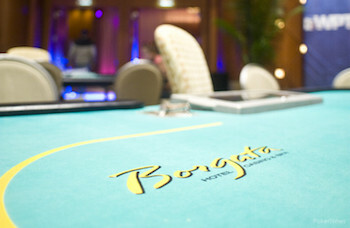 The 10-time World Series of Poker bracelet winner also points out that Borgata catered to all of his demands, including using a certain brand of cards, providing a private playing area with a dealer who spoke Mandarin, and allowing him to play with a woman by his side, who was later deemed his "accomplice." On March 26, Ivey was deposed on the matter, and PokerNews was able to obtain 16 pages from that deposition. In the Q&A session, which took place between Ivey and several lawyers, the poker pro talked about a wide range of topics from his edge-sorting strategies to Borgata's tactics of plying him with free booze provided by "the prettiest waitress in town." Q: And that went on for four visits to Borgata, and each one you played multiple hours, right? Ivey: Yes. Each one I played multiple hours and they never asked me to stop of never asked me what I was doing, what was my strategy. They never asked me why Kelly was here. Q: Talking about strategy, as a professional gambler, if some casino dealer, or host, or floor person, or pit boss says to you, Mr. Ivey, what's your strategy today, will you answer him? Ivey: I'll laugh at him, no. Q: It would be ridiculous, wouldn't it? Ivey: You never give up your whole cards. You never tell him what you're – what's your reasoning you have for doing anything. Q: You made mention of booze earlier. Tell me a little bit more about that. Did Borgata offer free alcoholic beverages? Q: Free. Did they put any limit on how much you could drink? Ivey: No. I had an unlimited budget. Q: Did they put any limit on how drunk you could get while you were making these fifty and one hundred thousand dollar bets? Q: And who served these drinks? You said it was pretty young girls? Ivey: Yes, at the Borgata. They have the prettiest waitresses in town. Q: One of whom is a former girlfriend of mine. Ivey: Is that right? Nice. Q: And they dress them in these skimpy little provocative outfits, don't they? Ivey: Yeah. They know what they're doing. They want to keep the men there and happy. Q: Now, you made mention earlier of a variety of things Borgata could have done to avoid the implementation of this strategy, right? Q: And one of them was the use of a CSM machine? Ivey: Yes. It's a continuous – it's a continuous dealing machine where you – the cards just get reused and reused but they change the order or something. I'm not sure exactly how the cards work. I just know the machine is not – we don't have a way of beating it. Q: You don't have any idea how costly or how cheap that machine is, do you? Ivey: I'm sure they're pretty expensive. I don't see them being cheap. Q: A cheap thing they could've done is just cover the shoe with hair? Ivey: A cheap thing they could have done is just not reuse the same deck. Ivey: That's the easiest way to protect yourself. Q: Now, the Crockfords case was tried and you lost it, right? Ivey: Yes, but we – we appealed it. We appealed and we got granted the right to appeal the case. Ivey: So we have a new trial in December, which is very difficult to get appeal over there. It's very tough. Once you lose a case, you usually – it's usually done with. Was Ivey Drinking While Edge Sorting? Q: Did you get drunk while you were playing baccarat? Ivey: It was an expression. It was an expression when I said that. Q: Yeah. No, that's fine. Ivey: You know, meaning I've never been cut off from alcohol at the Borgata. Ivey: Okay. Was I drunk while I was playing? I'm not sure if I ever wasn't drunk while I was playing. I mean I'm not sure. I may have drank some alcohol. I may have come from a nightclub and played there. I'm not sure. It doesn't matter whether I'm drunk. It would matter whether Kelly was drunk or not. Ivey: I think that's part of it, you know. It distracts you from your playing. I mean it distracts you from your concentration. I mean anything they can do to give themselves an advantage. So alcohol does – everyone knows that alcohol impairs your judgement, and they offer that and they have the pretty cocktail waitresses and they're all very flirty. They're talking to you, you know. I got quite a few of their numbers. I mean it's just – it's just a part of the business and we accept that. How Much Clearer Can Ivey Be? Q: Maybe I'm still just a little confused. So my understanding, and correct me if I'm wrong, is that when she said good card, for example, the dealer would turn it from side to side. Ivey: Yeah, because it's a good card to be turned that way for us. Do you understand what I'm saying? Ivey: Okay. I don't know how better I can explain it. It's a good card to be turned that way for us. It's a bad card, so turn it that way.